Has a social media friend tagged you and 99 others in a Ray Ban advertisement? Did you cringe when you saw it? Are you worried about a scam darkening the doorstep of your social empire, too? Photos, convos, banking infos… oh my. Tell us a social media infiltration hasn’t yet happened to you. Here at Technology Solutions, we don’t want you to feel that pit settle deep into your stomach when you realize your social media accounts have been pilfered. As experts in the space of online security best practices, we’re here to share five (+) tips for increased social media security. Social media is sometimes viewed as a entertaining exchange of information (to share cat memes with your college friends or snoop through the lives of celebrities) rather than a business platform. However, since organizations spend on average almost 25% of their marketing budget on social accounts, these accounts should be treated like a serious business investment. Is your company currently using the most up to date risk monitoring, security awareness and corporate security policies? Social media represents the largest threat in modern history. This is the war of our generation and we line up on the battlefield with every swipe. Greater frequencies of connectivity (billions of people) + unearned trust (everyone’s a “friend”) = landmines as far as the eye can see – or rather can’t see. If you stumbled across this blog as an accident, take it as an omen. If you’ve already been compromised, then it’s definitely time to put these tips into action. So, now that you know you need social media security, don’t let this feeling go stale. 1. Know where you stand today. Have you been compromised already? Web Security Services. While this site does not cover every leak, it should give you some insight into just how big a risk cybersecurity is to our ever-connected society. 2. Get creative. Avoid password reuse at all cost. Sure, this can be a pain, but having a system in place will help. There are several password managers, which can automatically generate and store passwords, or you can come up with phases for each login that are similar in theme – for example, your Netflix password could be “$arah,welc0me2NETFLIX!! !”; and Instagram could be “$arah,welc0me2INSTAGRAM!! !”; and the like. of course don’t use these, but you see where we are going with this. 3. Double up. Enable multi-factor authentication. This should be a standard security practice for you and all your employees, as this is a great way to see if and when someone attempts to access your account without your knowledge. 4. Be wary. Curate your connections by cleaning out friends, followers, and connections. While popularity seemed to be the objective in the past, we are noticing a shift toward more systemized networks. LinkedIn is a good example. Sure, this takes time to comb through and brush off potential fake or unmanaged accounts. But it could save you from receiving fraudulent or compromised links – links you might be curious to receive from an old friend. However, this old friend might actually be a new enemy. 5. Monitor, monitor, monitor. Phishing links, fraudulent accounts, and scams are looming in the clouds and will be on the horizon for a long time. Investing in a digital risk monitoring solution like Technology Solutions will guarantee you’re covered from these and other foreign risks. Discuss social media security best practices during meetings. Continuously monitor accounts for cyber threats (i.e. attempted logins). Blacklist/block malicious URLs and IPs found on social accounts; remove malicious posts. Establish workflow for dealing with social media cyber-crimes targeting your company. Test employees on susceptibility to social media attacks (like email phishing). The story of the Ray Ban advertisement mentioned earlier is a real example from a client who also happened to be administrator of his company’s social media page. The add was sent not only from his personal but also his business’ Facebook page. This not only confused his customers, it diminished his branding consistency and inevitably opened the door to larger threats. Scammers work quickly and mercilessly. Thankfully, we’re sneakier and we use our power for good – to keep your social media secure. Consider us the watchers on the wall. Q: Why is social media security important? A: If the information above isn’t enough to answer this for you, dear reader, take the story of Nicole Ortiz of California. Someone had stolen a picture of her from Facebook and used it to advertise a rental property on Craigslist. Nicole could have easily ended up behind bars for this rental scam that was not of her doing. Keeping your social media circle small, setting up google alerts, and keeping your pictures private will help you stay not only secure, but also help you stay legal. Q: How does social media affect national security? A: Around 90% of the organized terrorism on the Internet takes place through the social media. Terrorist groups spread their messages through social media to recruit people and spread their propaganda. If your accounts are compromised to these organizations, you could accidentally become a catalyst for their influence. Q: Is social media security only an external threat? A: No way, José! Social media is being used by employees from all departments. This means the company no longer has control over the image the company wants to portray. 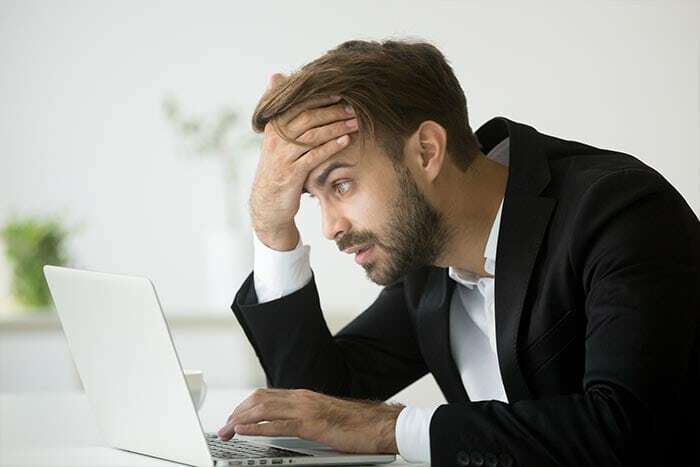 In fact, the biggest risk of social media in the workplace is internal employee misuse: employees can easily make unauthorized disclosures of confidential company information, such as trade secrets, proprietary information, and personnel matters. This type of information could tarnish a company’s strategy and reputation. Leave us your silly or scary cyber security stories and questions below. And friends, think twice before double clicking.